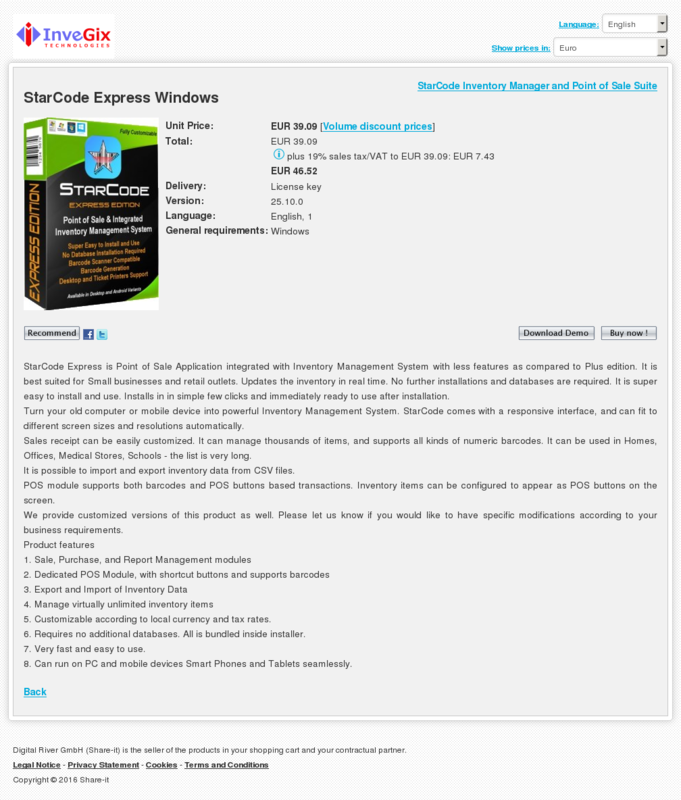 StarCode Express is Point of Sale Application integrated with Inventory Management System with less features as compared to Plus edition. It is best suited for Small businesses and retail outlets. Updates the inventory in real time. No further installations and databases are required. It is super easy to install and use. Installs in in simple few clicks and immediately ready to use after installation. Sales receipt can be easily customized. It can manage thousands of items, and supports all kinds of numeric barcodes. It can be used in Homes, Offices, Medical Stores, Schools – the list is very long. We provide customized versions of this product as well. Please let us know if you would like to have specific modifications according to your business requirements. 6. Requires no additional databases. All is bundled inside installer.